In the search for technologies that can reduce the water footprint of coffee, we may not have to look too far. There are technologies already in use that are proven to reduce water use dramatically and neutralize the biological threat posed by wastewater, while turning the solid and liquid byproducts of the wastewater treatment process into valuable organic inputs. We know there are triple-win technologies that can help reduce water use in the wet milling process, improve wastewater treatment, contribute to improved coffee quality and improve smallholder livelihoods. Water-efficient wet mills. Coffee mills are increasingly adopting a new technology commonly referred to as an “eco-pulper” for the environmental advantages it has over more traditional depulpers. The eco-pulper can be operated with little or no water during the depulping process, and removes the mucilage from the coffee bean mechanically, omitting the need for fermentation and washing – the activities that require the most water and generate the most significant threats to water quality in the wet-milling process. Even within traditional, water-intensive wet-milling processes, there are technologies that can reduce water use. Installing a closed-circuit system that recycles the water used during the depulping process and reuses it for washing can reduce the total volume of blue water used in the wet-milling process. Wastewater treatment technologies. For farmers and cooperatives still using more traditional wet-milling processes, low-cost technologies are available for wastewater treatment. A full mitigation process involves three separate steps: sedimentation, filtration and treatment. The solid waste in the wet-milling effluent can be separated from the acidic water by channeling it through a series of decanting tanks and filters that can be installed with semi-skilled labor and moderate materials costs. Treatment – usually with lye, a readily available and inexpensive additive – can raise the pH of the filtered wastewater so it can be safely released into local rivers and streams without threatening marine life or water quality. Investment in improved water resource management has synergistic benefits for coffee production – the solid waste matter concentrated through the sedimentation and filtration processes is a nutrient-rich ingredient in the fermented organic composts that the project has been promoting. “System architecture.” Moving from a large number of household-level wet mills to a small number of decentralized mills or a single centralized mill can contribute to improvements in water resource management and coffee quality. 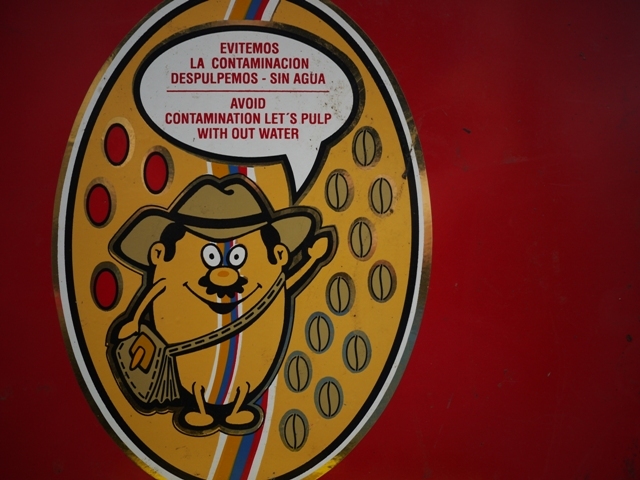 Centralization reduces the number of points at which coffee is processed, permitting concentrated investment in water-efficient milling technology and more effective management of wastewater. It can also help boost smallholder farmer incomes. The activities involved in the wet-milling process – grading coffee cherry at the washing station, fermentation, and washing – have a significant impact on coffee quality. Reducing from perhaps 500 or 1,000 to as few as one to three the number of places where these processes are performed can help cooperatives increase the uniformity, quality and value of their coffee. What we still need to learn. Inventories. It would be helpful to develop a comprehensive inventory of water resource management technologies currently in place for each of the three categories described here: wet milling, wastewater treatment and system architecture. Scorecards. Scorecards that compare leading technologies in each category on four variables — environmental performance, cost, rate/ease of adoption and impact on coffee quality — would be extraordinary resources for actors all along the coffee chain. Spotlight on innovation: Are there any innovations in either wet-milling technologies or wastewater treatment that are worth spreading?